A little later than normal, but better late than never! Here are the awesome YA and children's books to look out for this October. Bloomsbury will be publishing Revolution by Jennifer Donnelly. Jennifer Donnelly previously published A Gathering Light which won the Carnegie Medal , the UK's most pretigious prize for children's literature. Revolution is described as ' a heart-wrenchingly beautiful, evocative portrait of lives torn apart by grief and mended by love.' To find out more about this book, please click here. The extremely popular Chris Priestly brings out another scary novel for October.Friendship, trust and betrayal combine to form a dangerous liaison in this moving and frightening new book from Chris Priestley. Please click here to find out more. The fourth book in the Drake Chronicles is released too. I haven't read this series yet but I am hoping to soon. 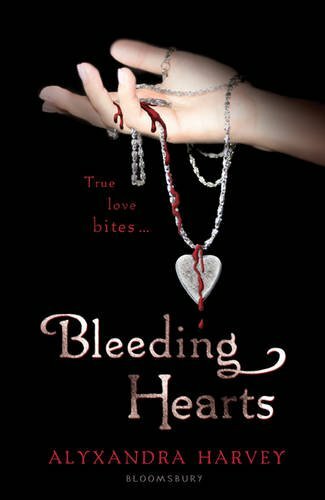 I loved this author's standalone book ' Haunting Violet' so I imagine this will be a fantastic series to get into. Click here to find out more. 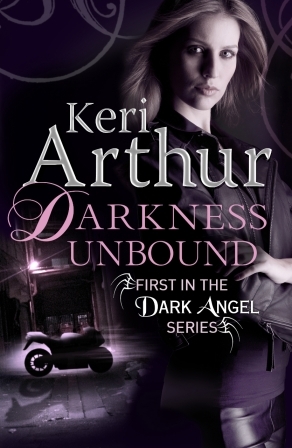 This is the first book in the Dark Angel series where Keri Arthur has created a spin off to her very successful Riley Jenson Guardian series. Click here to find out more. The third book in The Popularity Papers is published this month too. Definitely one for the tweens in your life. My daughters loved the first book in this series and will definitely be buying the next too. Click here to find out more. Cathy Brett is releasing her third graphic style novel. This author is seriously talented. Definitely a book for reluctant readers. I loved Ember Fury and I can't wait to read this one. To find out more, click here. 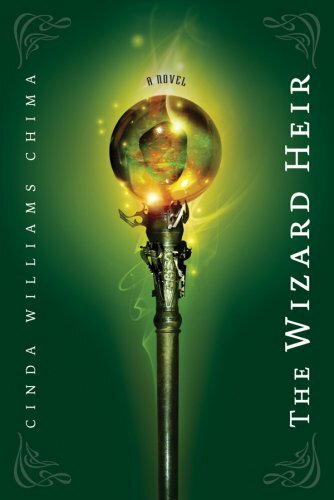 Indigo move into their second month of publishing and bring us the second book in the Heir Chronicles, The Wizard Heir. I have the first one to read of this series and I am really excited by it. I think it has been described as a US Harry Potter style series. Click here for more information. October wouldn't be right without a dark tale from Marcus Sedgwick. Midwinterblood looks at love through many different reincarnations! Check it out here. The amazing book by Annabel Pitcher, My Sister Lives On The Mantelpiece is released in paperback form this month. I strongly recommend you buy this book as it just fantastic. I read it earlier in the year and weeped buckets! See here for information. Glow is a science fiction YA for you dealing with young love on a spaceship. To find out more, click here. This is the sequel to The Blackhope Enigma. I have read both books and really enjoyed them. If you like time travel, then these are the books for you. Click here for more details. I loved this book! It was so dark and Gothic. This is the prequal to Mary Shelley's Frankenstein and tells the story of Victor Frankenstein's early life. To find out more, click here. 'Ghostly apparitions on abandoned motorways... Corpses escaping from hospital morgues... Skeletons clawing their way out of their graves... THE DEAD WAYS ARE OPENING' Eeep! Just right for the lead up to Halloween. Oh how I want this book! The Dead Ways is published on the 1st October. Click here for more details. 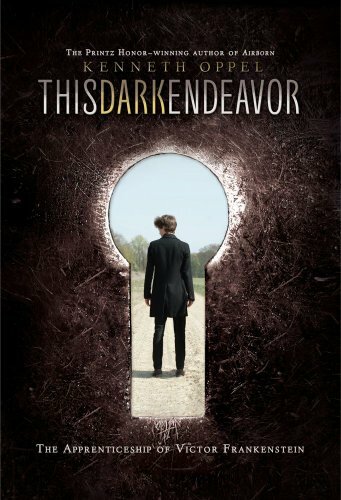 A book that practically all the YA population seem to be waiting for. The third book in Becca Fitzpatrick's in the Hush, Hush series. To find out more, click here. Devoted is the second book by the actress Hilary Duff. It is the sequel to Elixir and finds Cleo back looking for answers. Click here for more. This book has been described as The Lovely Bones for the YA market. I can't wait to read it. For more information, click here. 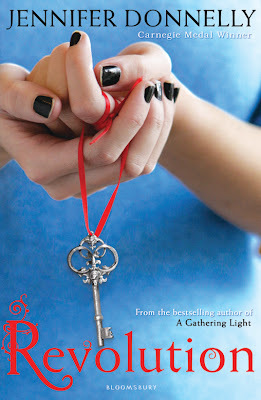 The second book in Kierstan White's paranormal series hits the shelves. Supernaturally carries on with Evie's story from where we left off. For more details, click here. I can't help but be attactred to this book as it is a hilarious take on the Queen's diary during 2011. I follow the Queen on Twitter and often find myself, giggling away at the comments. For more information, click here. For all you Cassandra Clare fans, a double helping of the lady. 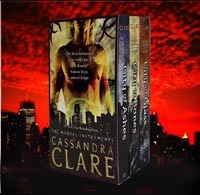 First up, you have the box set of The Mortal Instruments set being released. Ideal for Christmas presents. Click here for more information. Also this Steampunk Anthology which not has a short story from Cassandra, but also her best friend Holly Black. Very exciting! Want to know more? Click here. Atom release the second book in the James Phelan series. This one is called Quarantine. To find out more, click here. If you are a Blue Bloods fan, then you are probably already drooling for Lost In Time, the sixth book in the series about fallen angels with vampire tendencies. Click here for more details. So there are all the fantastic books coming out this month. Some are already available to buy, so hit those bookstores now! Haven't been by in a while but I absolutely adore your blog makeover ... looks fantastic!! Some of these are on my wishlist or ordered but thanks for the heads up on Keri Arthur's new series, how shameful I didn't know about it when she's an Aussie author I like lol. I'm also curious about My Sister Lives On The Mantelpiece. Oh wow, Viv! Your new design looks amazing, I absolutely LOVE it! Sssh, don't tempt me to go out and buy more books(or rather visit The Book Depository that is). So many lovlies out this month. Teddyree - lovely to see you. I know you have a lot going on so don't worry. I haven't read the other Keri Arthur series so I might start with the new one first and see how I like it. I didn't know she was an Australian. You must read My Sister - it is a gorgeous but sad book. Mari - thank you. I love it too. I wanted magical and Lori came up trumps. Too many lovely books out this month. Sigh. And not enough hours to read them all. Bigger sigh. I love your new blog design, Viv! So pretty!! I'm reading Between at the moment, and it is simply amazing. I'm loving it. If it has a strong ending, it will definitely be one of my books of the year, for sure! I'm eagerly awaiting my copy of Silence. Can't wait to read that one! I read Revolution when it came out in HB last year - love that book! I need to read Revolution! I loved A Gathering Light to bits. Also, I love the blog's new look, Vivienne! I love that cover of Revolution. I can't wait to finally get around to read it. Devoted is on my tbr list as well. I really enjoyed Elixir. Great post! Susan - I don't know where to start! 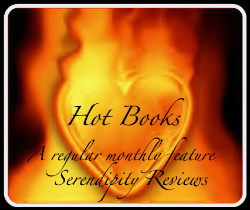 Leanna - thank you!I have read mixed reviews of Between, but I hope to read it soon. I am really enjoying Revolution now it has moved on a bit. I thought it was a little slow to begin with. Silence just arrived this morning, but I haven't read the one before yet. Nymeth - I thought of you when I received it. I know how much you loved A Gathering Light. Mrs Q Book Addict - I haven't read the Hilary Duff one, as I can't get my head around the move from child actress to author. Ooh a new series from Keri Arthur, thanks for bringing this to my attention. I wasn't a huge fan of Glow or Between but I'm beyond excited to get stuck into This Dark Endeavour, Verity Fibbs and Mister Creecher. phew, this month most of these are already on my wishlist or TBR pile so I dont have to fear this post as much as usual! :D there are some ace books out this month!